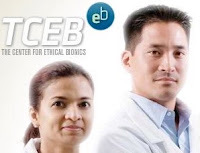 Founded in 1992 in San Francisco, California, The Center for Ethical Bionics was created in response to unrestrained, unchecked growth reported within the rapidly expanding field of bionics. Deeply concerned about the possibility of biomechanical clones, DNA alteration, and the creation of biomechanical humans, many in the scientific community feared these experiments could result in irrevocable damage to humankind. Rumors of the creation of a top-secret, biomachine only heightened the need for immediate action. Dr. Steven Caldwell, Chairman and "prodigy in the field of molecular biology," who has a M.D. and Ph.D. in computer science. Dr. Michelle Scanlon, who has a Ph.D. in genetics in Duke is the Senior Geneticist. Dr. Scanlon currently spends her time in the research and development lab at The Center's San Francisco headquarters. She has recently begun focusing her talents on bionic gene therapy, a process where Computerized Nucleic Acid (or CNA) is inserted into an abnormal, disease-causing gene. The CNA then acts as a carrier, genetically altering the diseased cells and delivering therapeutic materials to healthy ones. Taryn McCarthy, who has a Ph.D. in philosophy is the Chief Ethicist. Upon graduating Phi Beta Kappa from Harvard with a degree in philosophy, Dr. McCarthy became interested in the impact of science fiction television on human acceptance of bionics. She resumed her studies at the renowned Johns Hopkins Berman Institute of Bioethics, where she received her doctorate and went on to shape genetic policy decisions through her work at the Genetics and Public Policy Center in Washington, D.C.
She is also the inventor of the phrase "bio-morals." Finally Dr. Samuel Baker, the Senior Bionic Researcher, has a background in mathematics and computer science and worked for military intelligence. Take a closer look at the case study in bionics and sign up for their mailing list for more information. I suspect there will be additional web sites as we get closer to air time. www.bat-test.com just went up- it’s a site that tests your bionic ability and we’re psyched to share it with you. Who’s the most bionic one here? I wonder how the 4 founders would fair in this type of testing?